Asia’s longest-running drama anthology “Maalaala Mo Kaya” remains unbeatable as the Philippines’ most-watched weekend TV program as it once again ruled the weekend (Saturday and Sunday) ratings game with a striking 35.3% national TV ratings last July 20 or 14 points ahead of its rival “Magpakailanman” (21.2%) according to data from Kantar Media that covers urban and rural homes nationwide. Meanwhile, this Saturday (July 27), “MMK” will present another heavy family drama episode starring Kapamilya actress Empress. She will play the role of Claire, a loving daughter who will feel devastated and betrayed by her own family upon knowing the truth about her real identity. Joining Empress in the upcoming “MMK” episode are Assunta De Rossi, Cris Villanueva, Joshua Dionisio, Devon Seron, Ramon Christopher Gutierrez, Juliana Palermo, Eda Nolan, Lloyd Samartino, Eva Darren, Ces Aldaba, Arie Reyes, Justin Gonzales, Miguel Morales, CJ Navato, Timothy Chan, Eslove Briones, Sharmaine Suarez, and Mike Austria. It was researched by Agatha Lee Ruadap, written by Arah Jell Badayos, and directed by Dado Lumibao. Don’t miss the undisputed no. 1 drama anthology in the Philippines, “Maalaala Mo Kaya” (MMK), Saturday nighs, after “Wansapanataym” on ABS-CBN. 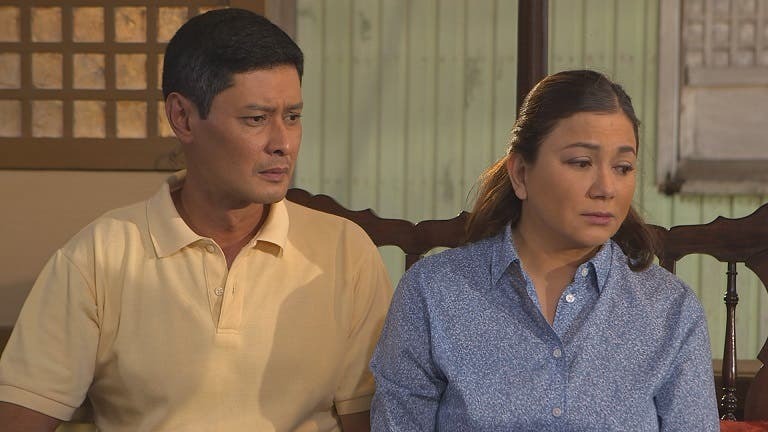 For more updates, log on to www.mmk.abs-cbn.com, follow @MMKOfficial on Twitter, and “like” www.facebook.com/MMKOfficial. congrats at panalo kayo sa sarili nyong survey, ung GMA at TV 5 sa AGB naniniwala.. just d fact!